Author Pauline Kirk (writing as P.J. 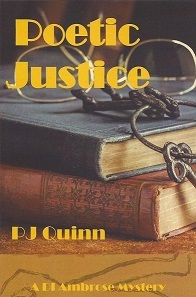 Quinn) will be appearing talking about her new novel "Poetic Justice"; part of a series of mystery novels featuring DI Ambrose. This will be a free event with donations accepted for refreshments.